TALENTED Zim dancehall chanters, Silent Killer and Dobba Don, have been rewarded for their creative edge after being invited as guest performers at Club 1+1 on Good Friday bash. 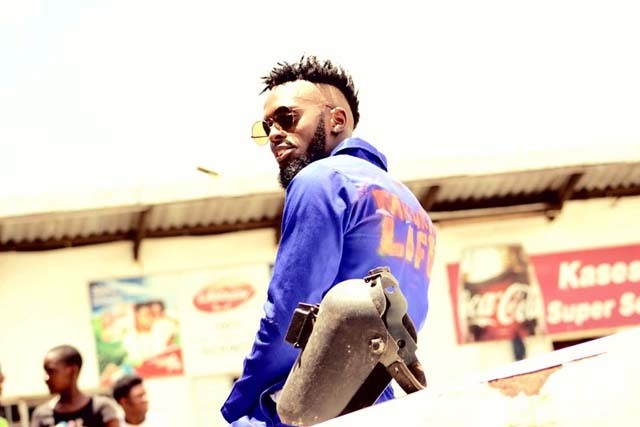 Fellow rapper and ladies’ man Takura is also part of the line-up dominated by club wheel-spinners. These include DJ Professor, DJ Sachie, DJ Thandoe,Jerry Springer, DJ SIMMZ, MC Tatts, and Buttler among others. Housed at LongCheng Plaza, the venue is synonymous with club goers where Dobba Don and Silent Killer are expected to add variety. Entry is free before 11pm and merry-makers will have to fork out $5 afterwards and $10 for VIP. In a statement, event organisers said they were ready for the Good Friday bash set to attract hordes of club goers. “We have done all the ground work for the Good Friday bash where we anticipate a full house as usual. “This time around, we have roped in Silent Killer Dobba Don and Takura as guest artistes for the night. “It’s an event where we expected a full house as we begin the long holiday. “We urge old and new patrons to show up in numbers and lots of giveaways will be available. “We also urge people to drink responsibly during the long holidays which are usually associated with bloodshed and accidents,” reads part of the statement. Event organisers assured merry-makers of tight security at the venue to ensure they don’t lose their valuables. Club 1+1 is one of the upmarket venues where party people are always guaranteed value for their money. The venue is also famed for attracting multiracial crowds where from all corners of the city. Foreigners have also endorsed the venue and this Friday all the doubting Thomases ought to be at the venue and have fun.